Tap Takeover: Three Stars Brewing Co.
Home/News/Tap Takeover: Three Stars Brewing Co.
All words by Philip Runco. All photos by Franz Mahr. The exterior of 6400 Chillum Place could not be less remarkable. The industrial structure is all tired and off-color bricks. It sits next to an autobody shop, and it looks like an autobody shop, because that’s exactly what it once was. Grizzled concrete leads the way to a pair of dark grey doors, which stand adjacent to a cavernous loading dock. Above those doors, though, a few feet to the right, is a sign that hints that this drab building might be something more. It’s a modest sign. It could comfortably be four or five times bigger; no one would miss the sight of those bricks. 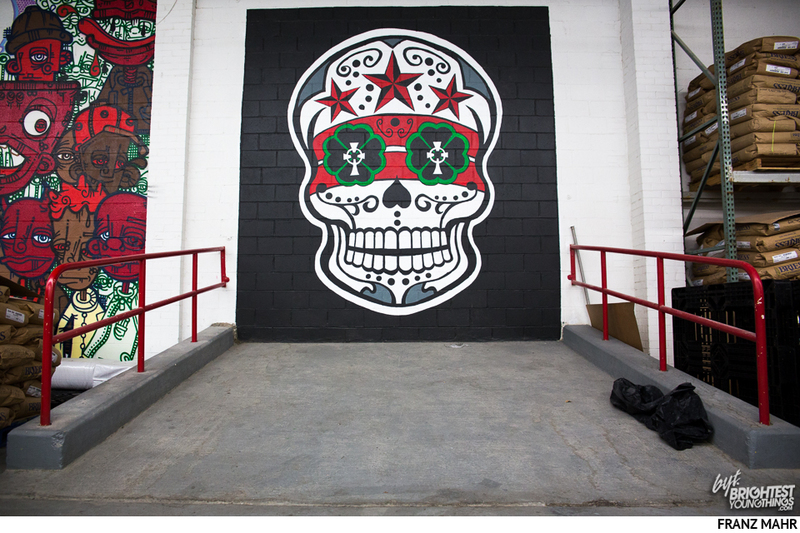 Its white print rests on a black background, the antithesis of the kind of neon beer signs that keep dive bars aglow. It reads: “3 Stars, Brewing Company, Washington DC,” each bit of information in successively smaller font. If you happened to be driving down this street, just south of Takoma and the Maryland border, 3 Stars Brewing Company and its understated sign wouldn’t even register a head tilt. If you were seeking it out for the first time, you might check your smartphone a few times to make sure that you were indeed in the right place, or at the least, using the right entrance. 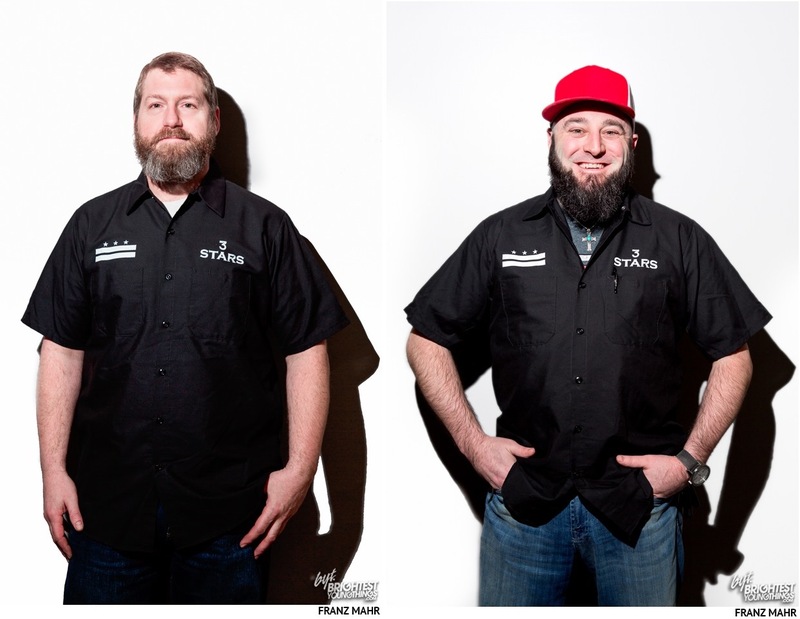 But if you are in this place; if you have sought it out, then you probably know that within those nondescript and weathered walls, some of the most exciting beer in the region is being brewed by Dave Coleman and Mike McGravey. Dave Coleman and Mike McGarvey are an odd couple. Tattoos peak out from underneath Coleman’s shirt. He sports an Old Dutch beard, which when paired with a freshly shaved head, appears to orbit around his face rather than grow out from it. When we first meet, he’s wearing a flat-rimmed red baseball hat, tilted slightly askew. He looks more like a bouncer than the president of a company, and you get the feeling that he enjoys that. He’s boisterous and excitable and displays a distinct swagger when discussing 3 Stars. In contrast, McGarvey is more reserved. He comes from a background in management IT consulting and business intelligence, and he carries himself as such: He’s unflappable, direct, even-keeled. It’s hard to imagine him starting a sentence without knowing exactly where it will end. His beard is full and peppered. He has the aura of a ski trip dad. To some degree, this is probably how every young brewery sounds. No one says that they want to make safe beers. No one strives for boring. But the thing with 3 Stars is that it’s backing up this talk in remarkable ways. Look at its pillar offerings: peppercorn saison, imperial American porter, imperial brown ale, old stock ale. These are complex beers. These are heavy hitters. “They’re just kind of plain,” McGarvey says more diplomatically. Survival wasn’t always a sure thing for 3 Stars either. Looking back across its six-and-a-half year history, it’s no small wonder that the company even made it. 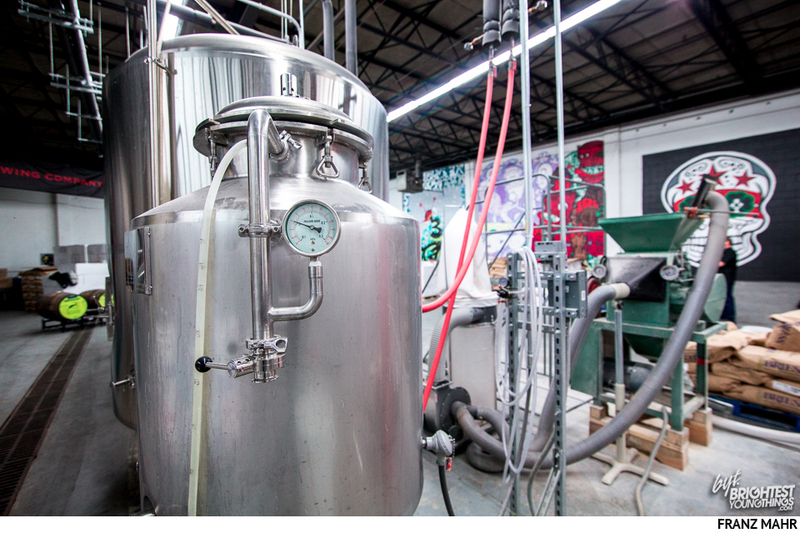 The two had no background in commercial brewing – something that’s not unheard of, but also something that’s certainly not the norm. Coleman had spent a decade at Dupont’s the Big Hunt, building up its reputation as beer director, general manager, and the general “go-to.” McGarvey, meanwhile, worked in the corporate halls of Accenture and Sirius XM. Things escalated. McGarvey got more serious about producing his own beer, launching recipe development and brewing up to five simultaneous batches. 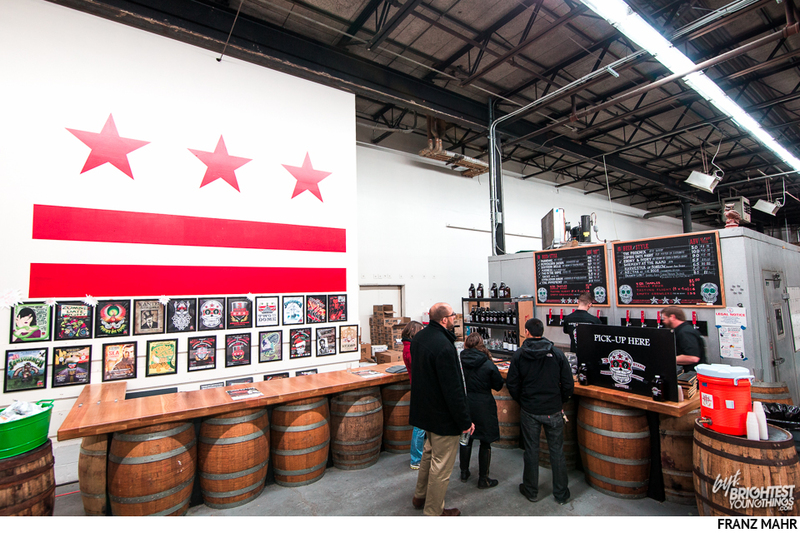 He and Coleman discussed the rise of craft beer culture in the District and the absence of DC breweries. They started putting business models to their ideas. “It was the opportunity of a lifetime,” McGarvey says. 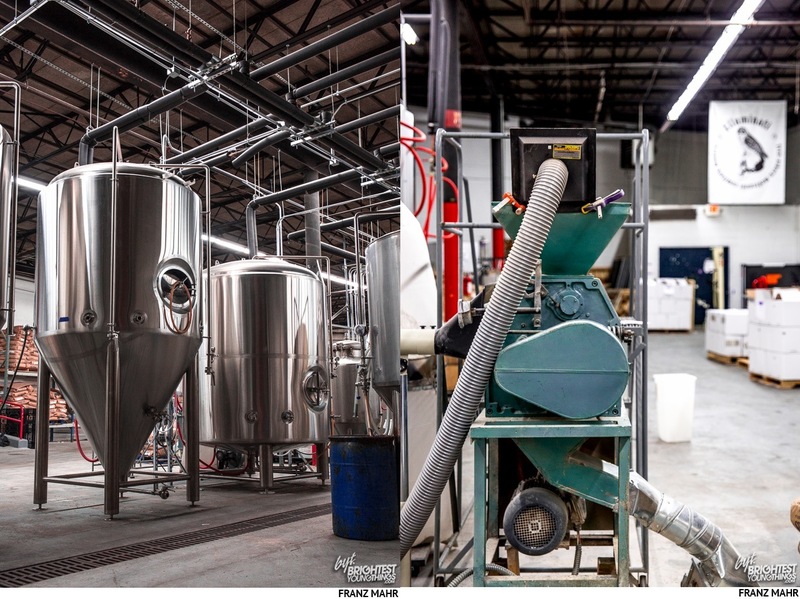 While a swarm of breweries looking to set up operations is indicative of a healthy scene, it also put a squeeze on resources: equipment, input suppliers, property, investors. “There were so many people trying to dip out of the same well,” Coleman says. 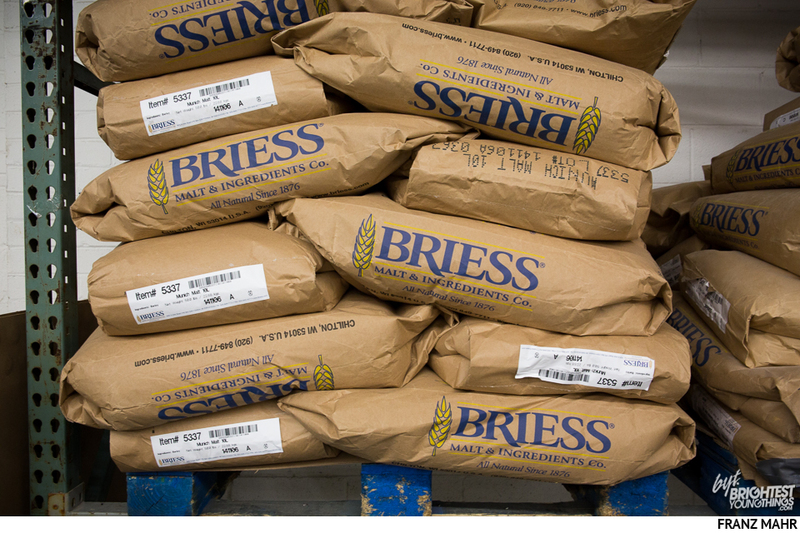 Another milestone came a year into operation, when 3 Stars attained a Small Business Administration loan, which allowed them significantly scale up operations. Being further legitimized by a financial institution brought more investors too. But, at this point, after teetering on collapse, the two aren’t taking any deals that might compromise their independence. Control is important, because McGarvey and Coleman don’t always make decisions that conform to a conventional or strictly bottom-line focused approach. 3 Stars only makes the beers that McGarvey and Coleman want to make, and those beers are often time and cost intensive. There are no shortcuts. It’s also about product differentiation. 3 Stars considers itself a boutique brewery, and as such, its reputation rests in large part on habitually pushing the envelope. It’s hard to overstate how far 3 Stars has come since it acquired the warehouse space, or the degree to which everything was accomplished on the backs of McGarvey and Coleman. The grays in Coleman’s beard and the bags under McGarvey’s eyes tell the story of long days and nights. “2015 is a lot of growth,” McGarvey says, looking towards the immediate future. He’s not joking: 3 Stars anticipates a 300% increase in production this year. Its expansion is fueled largely by the addition of several tanks, which were added in the third quarter of last year but are just now getting filled and worked into the rotation. 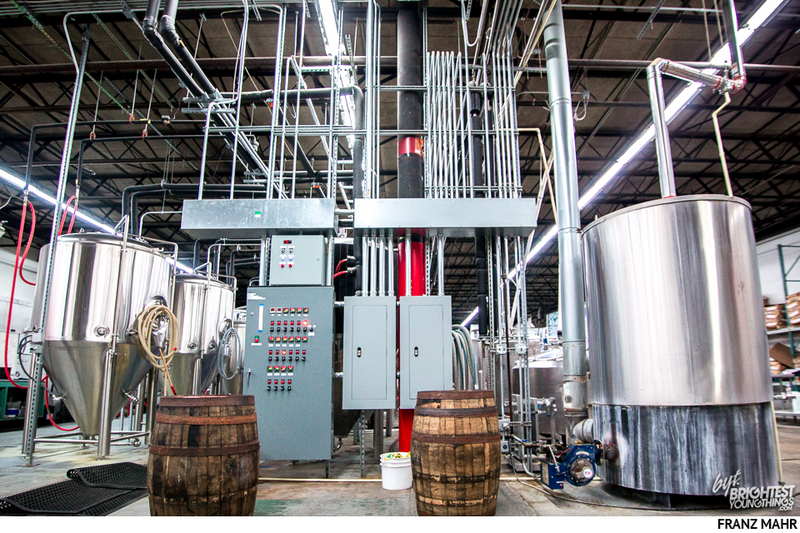 The brewery has also invested in “tons more barrels” for barrel-aged recipes. As you might expect, the two will continue develop new beers, which will require continued enhancements at the facility. Still, 3 Stars remains a fan of the large bottle format, especially for beers with a higher alcohol content and a certain profile. 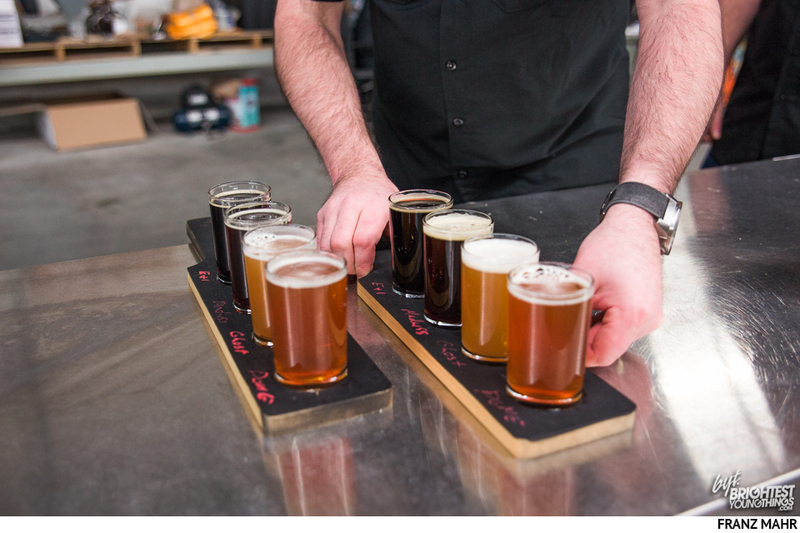 They call these beers “cellarable” – that is, something you might store for a few months or longer. Ghost (a white IPA), Citra Lemon Peel Saison, and Southern Belle (an imperial brown ale) are the top of its list. Today, it rolls out a 750 mL bottle of its old stack ale, Madness, with 50 cases hitting the market next week. 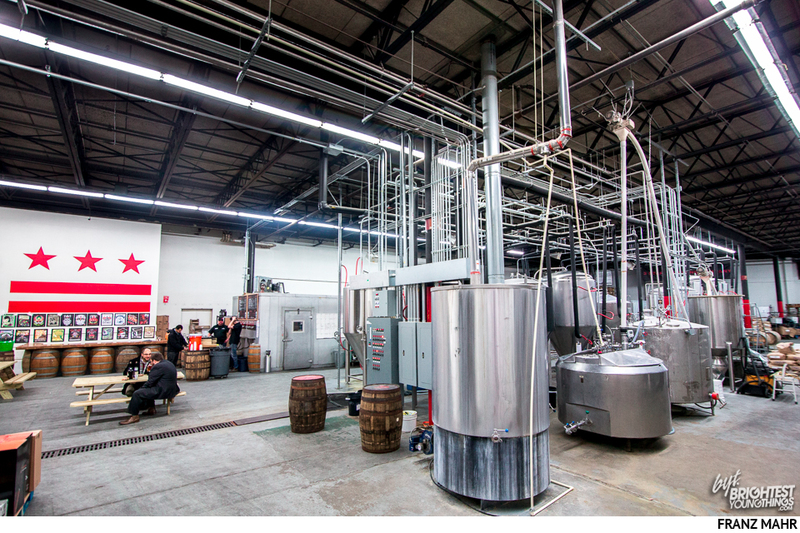 To a degree, 3 Stars’ Illuminati Reserve Society has also provided an audience for some of the brewery’s wildest experiments. The annual reserve society supplies its members with five releases – all barrel aged – over the course of the year. In 2014, Illuminati membership was capped at 200. This year, 3 Stars raised it to 400. Both years, membership sold out. When I ask Coleman and McGarvey whether all of 3 Stars’ long-term dreams and aspirations can fit inside this warehouse, the two exchange a knowing glance. Later, Coleman takes a moment to put everything in perspective. Every beer has a story, 3 Stars walks through the history of its most notable and favorite brews below. Of course, not everyone shares an appreciation for that approach. 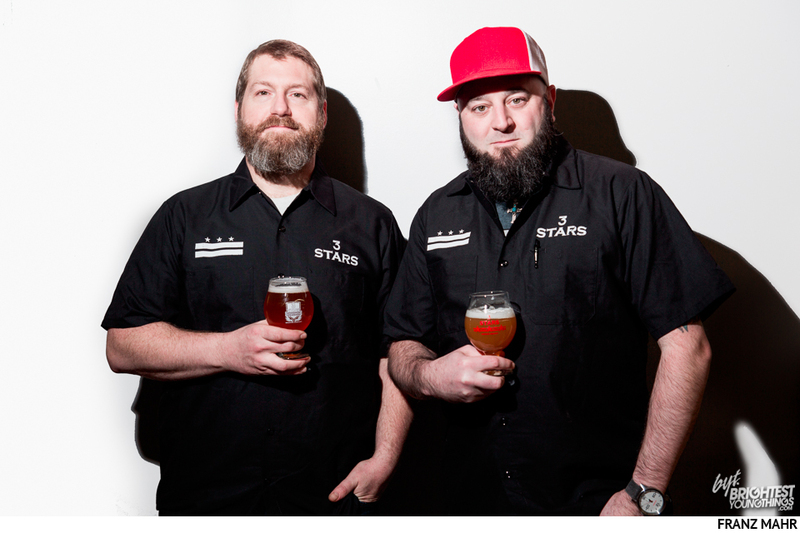 3 Stars has made much of its name on the saison. Which begs the question: Why the saison? The decision to make a peppercorn saison ties back to the first beer that 3 Stars ever released: The Syndicate, a black peppercorn saison made in collaboration with Maryland’s Evolution Craft Brewing Co.
“When we got to the point that we were doing our base beers and thinking about a peppercorn saison, we wanted to do something that wasn’t as harsh as the black peppercorn,” McGarvey explains. 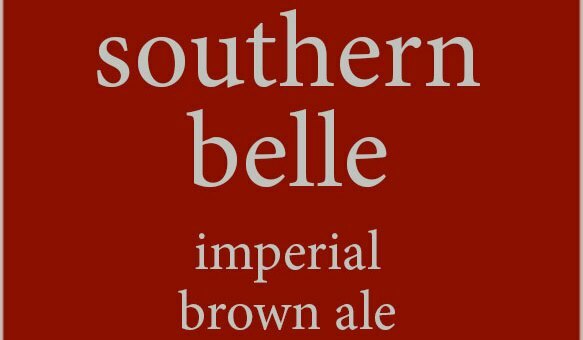 “Southern Belle was a beer that we never intended to brew,” McGarvey says of 3 Stars’ imperial brown ale. As for the origin of the name? 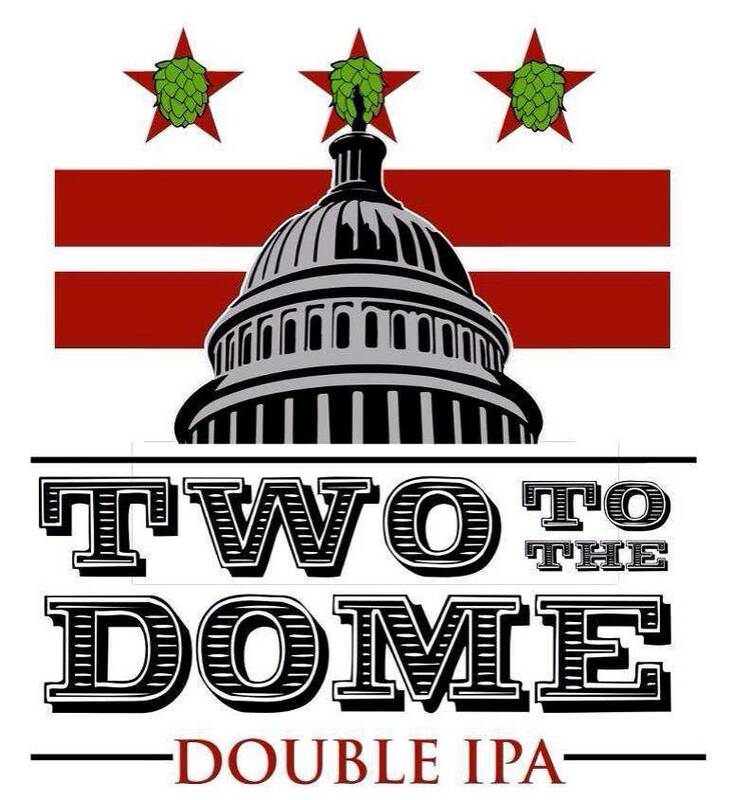 Two to the Dome is another beer that 3 Stars initially shied away from making. “Ooh, girl!” Coleman says arriving on Ebony & Ivory, a variation of Southern Belle that’s conditioned with cocoa nibs and vanilla beans. Like a lot of recipes, Ebony & Ivory started as an isolated cask project. With casks – which carbonate without additional carbon dioxide or nitrogen pressure – McGarvey adds special ingredients to condition the beer, such as additional hops. 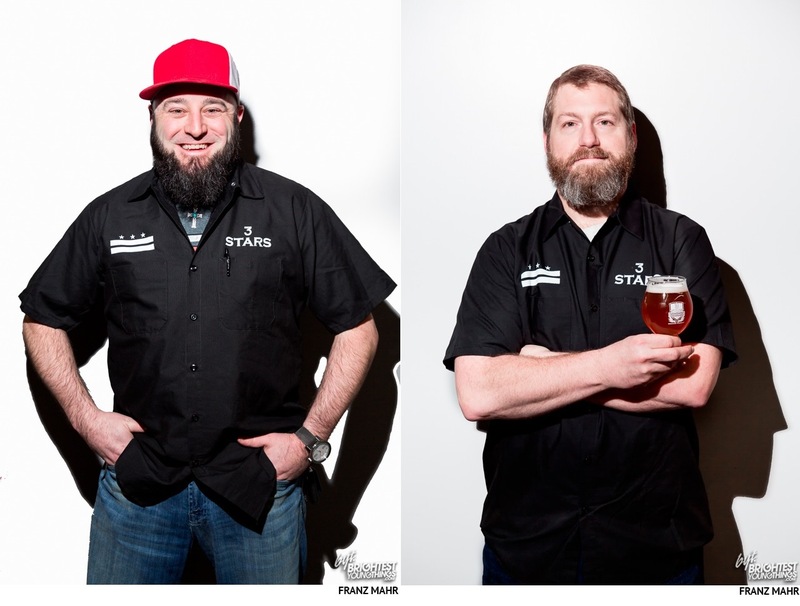 3 Stars has responded to that reaction by making the beer a full-on annual release. The answer, it turns out, is people who are less than enamored pumpkin beers. “We hate pumpkin beers,” McGarvey says flatly. “We really don’t like pumpkin beers,” Coleman concurs. 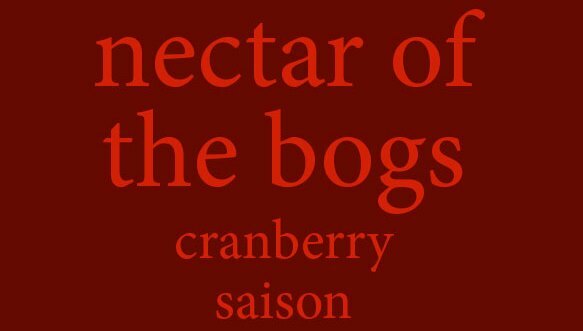 Thus Nectar of the Bogs was born, balancing the yeast character of a saison with the natural tartness of cranberries. The challenge of making a fall seasonal with a main ingredients that’s only available beginning in October is that fall seasonals are typically expected to arrive in late August. “We learned that the hard way,” McGarvey says. Still, the beer has been a wild success for 3 Stars, much to the bemusement of Coleman. No beer gets Coleman and McGarvey as excited as Madness. When it comes up in our tasting, the two just repeat the name to each other a few times. “Madness was always meant to be big and bold,” McGarvey says. “Sheer madness,” Coleman chimes in, a little like a rap hypeman. The food pairings for Madness – as written on the 3 Stars website by Coleman – list the following: shopping, family dinners, mass holiday greeting texts, travel, airports, caroling, house cleaning, tree trimming, and shoveling. They’re not messing around, either. The first year that 3 Stars made a Madness, it was a winter warmer that clocked in at 10% alcohol. This year, they’ve kicked it up to 12.4%, and transformed it into an old stock ale. Coleman and McGarvey set about tasting all variations of Christmas seasonals, and experimenting with test runs of its own spiced beers. The conclusion? “We decided that we hated all of them,” Coleman says. 3 Stars will continue to brew Madness as an annual release. In fact, this Friday it will be rolling out bottles of it. “Some of the best years that we’ve released have been barrel-aged version of Madness,” McGarvey says. Of particular note is the last Illuminati Reserve Society release of 2014, a version of Madness that blended 2013′s rye barrel-aged winter warmer with this year’s old stock ale. The story of 3 Stars’ Ghost is the story of the Samsquanch. Years ago, when Coleman and McGarvey first developed a white IPA – a lighter, atypical style of IPA that relies on a fair amount of wheat – the two fell in love with the name Samsquanch. Unfamiliar with Canadian stoner comedy? Well, you’re partially to blame for the death of 3 Stars’ Samsquanch. The problem was that the majority of people got the reference and fewer could pronounce the name. McGarvey estimates that one in five people on a tour recognized the name. The flavor profile of the beer experienced an odyssey of its own too. The solution was to give the Samsquanch a recipe makeover with a hope profile more tropical and bitter, and to rebrand the whole thing as Ghost. It also isn’t technically a beer – it’s a combination of cider and beer, otherwise known as a graff. In the case of Brandy Lyn, the beer is brandy barrel-aged saison, and it’s mixed with apple cider that’s been aged in bourbon barrels. At 65% beer and 35% cider, this is a combination that will make even the most articulate beer turn Keanu. The hybrid is a product of the collaboration between 3 Stars and Millstone Cellars, an “American Farmhouse Cidery” thirty miles north of Baltimore. 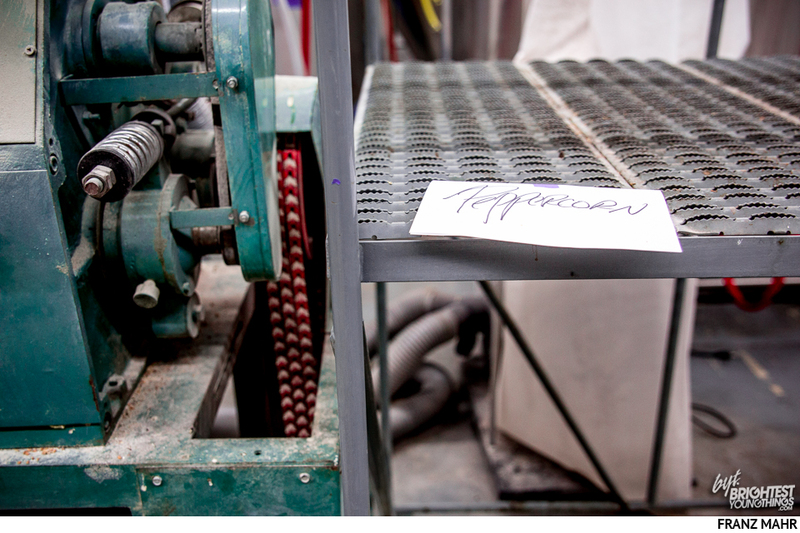 Millstone provided 3 Stars with barrels to age the cider, which the brewery in turn fermented and conditioned on site. The saison, meanwhile, is brewed specifically for Brandy Lyn, using Nelson Sauvin hops that skew towards a wine profile. Now that 3 Stars has familiarity with the process and ingredients, it plans to make it again in the future. Maybe. “After we were operating for a while, one thing that we felt we needed in the portfolio was something that was more of a session beer,” McGarvey says. 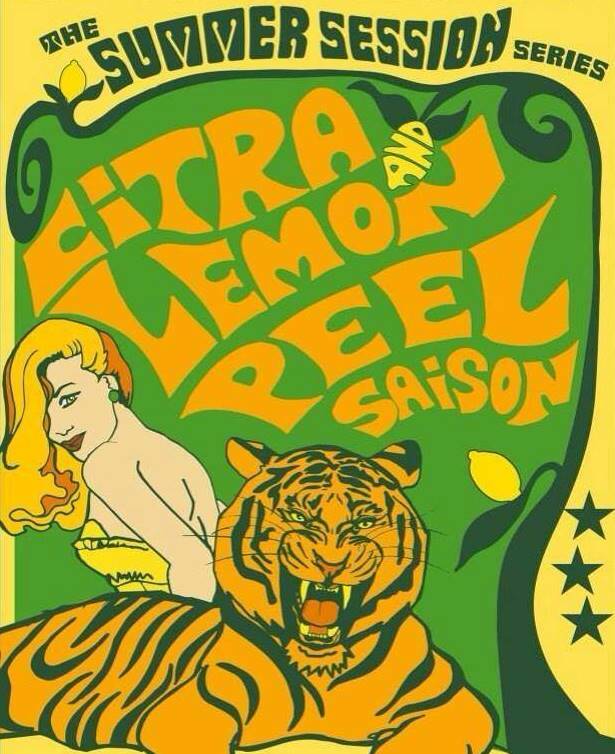 3 Stars spin on the session beer is its Citra and Lemon Peel Saison. The Citra and Lemon Peel Saison is a bold session ale in light of what’s become de rigueur in the industry: the session IPA. With a few exceptions – notably Founders’ All-Day IPA – Coleman is unmoved by the style. From Coleman’s perspective, the session IPA is an example of the trend-chasing and groupthink that brewers can get caught up in. For the unconverted, Qualia is a coffeehouse in Petowrth that roasts all of its coffee beans on-site and has attracted a cultish following. It’s not hard to connect the dots on how these two enterprises were able to get along. 3 Stars had dabbled in combining its Pandemic imperial porter recipe with coffee – a cask here and there – but it decided to return to the format more seriously. It just so happened that it connected with Finkelstein at a time when he was exploring barrel-aging Qualia’s coffee. Here, 3 Stars was able to be of assistance. The coffee imperial porter – which 3 Stars has dubbed Desolation – has attracted a buzz of its own. 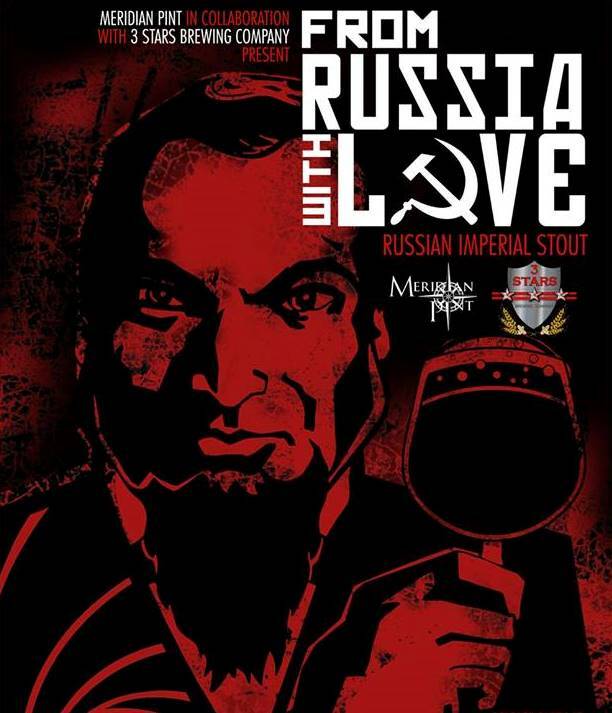 Instead, 3 Stars opted for a Russia Imperial Stout, which, much like its arsenal of porters, doesn’t pull any punches: From Russia With Love weighs in at a healthy 8.5% alcohol. The annual release was initially brewed in collaboration with Columbia Heights beer haven Meridian Pint, but has since been taken entirely in-house.